On the first official day of training for the National Team in 2013, we sat in the conference room and listened to our new head coach, Karch Kiraly, as he spoke about lessons from the London Olympics and looking forward to the new quad. There is a lot about that day that will stick with me, but what I remember clearest are words he would repeat again and again over the next four years. We are all learners. Maybe that sounds obvious, but consider the context for a moment. The women who walk into that gym every day are some of the best in the world at what they do. They are constantly competing – with the best from other countries to win medals and with the person next to them to make rosters or gain a starting spot. We all want to learn, but it is a risk. To get better, you almost always have to get worse first. So you aren’t just asking these women to learn; you’re asking them to change what they do when what they’ve always done is what has gotten them to the top. That was exactly what Karch was asking of us. And I think there are two main reasons it worked. The first is that we bought in. It’s an easy thing to do for a day and a really hard thing to do every day. It takes an unrelenting focus on the process vs. the results. We maintained that focus partly by celebrating those small victories in learning as much as our larger victories in winning matches. One of the best examples was a drill that we called Bingo, wherein each team was trying to get to 15 points but also had to execute 3 tasks based on what we had been working on in practice. The task might be serving a team out of system in a certain area or getting a kill on a slide in transition. You cannot win the game without focusing on something we have been working on all week in practice. Drills like that along with the absolute commitment of the women in that gym helped build our learning environment. That’s Karch Kiraly, three-time Olympic gold medalist and head coach of the U.S. women’s national team, asking me for constructive criticism. Half of the time I just told him he was doing great. Occasionally though, I would have something to say – we’re doing a lot of this and not a lot of that or this drill isn’t quite working and maybe we could tweak it. We would discuss it, Karch would ask questions and the very next day he would make a change. He was modeling for me, and all of us, what a learner looks like. No matter what level you’re at and what you’re striving for – a gold medal, a league championship, a bid to nationals, your first win – the willingness to learn is at the heart of progress. If you, regardless of your experience and years in the sport, can come in every day ready to get better, it will pay dividends for both you and your program. 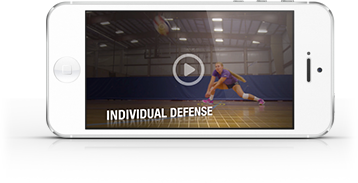 As Karch would be the first to tell you, there is always more to learn. So get started! Cassidy Lichtman was a member of the U.S. women’s national team during the 2013-16 quadrennial. She was a two-time first team AVCA All American setter at Stanford (2007-08) and an assistant coach in 2016 when the Cardinal won the school’s seventh NCAA championship in women’s volleyball.